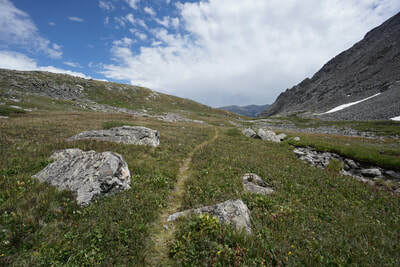 ​Note: We hiked this trail as the return route for a climb of the East Ridge of Pacific Peak. 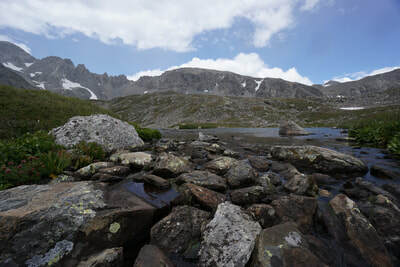 therefore, the elevation profile is one way starting from Upper Lake #1. 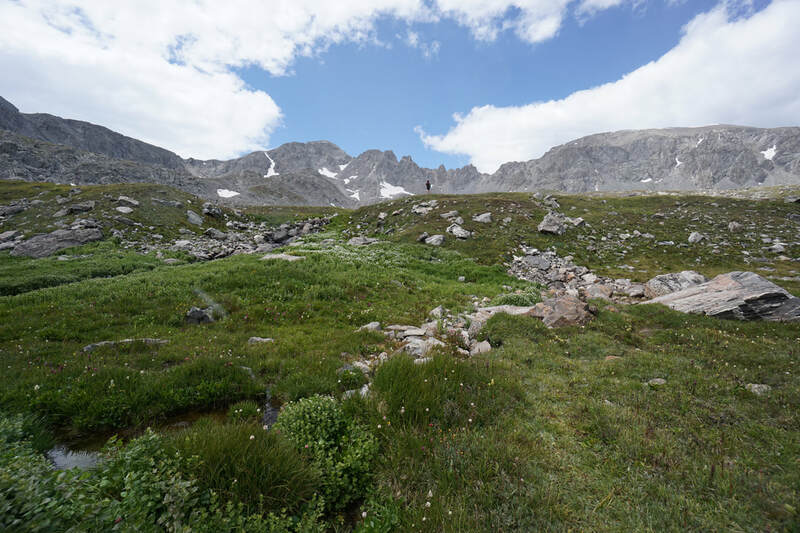 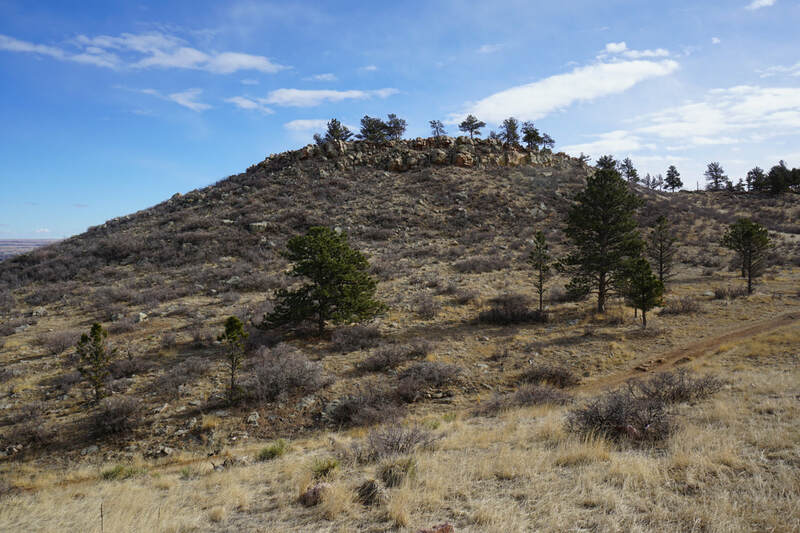 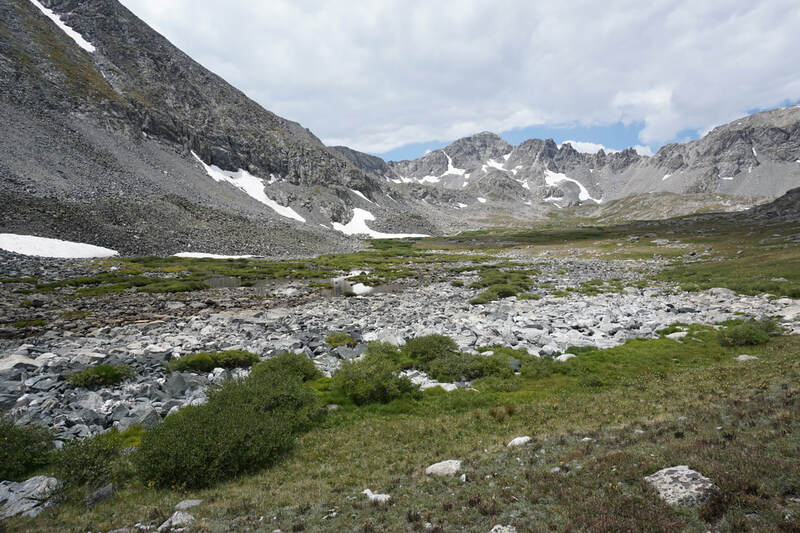 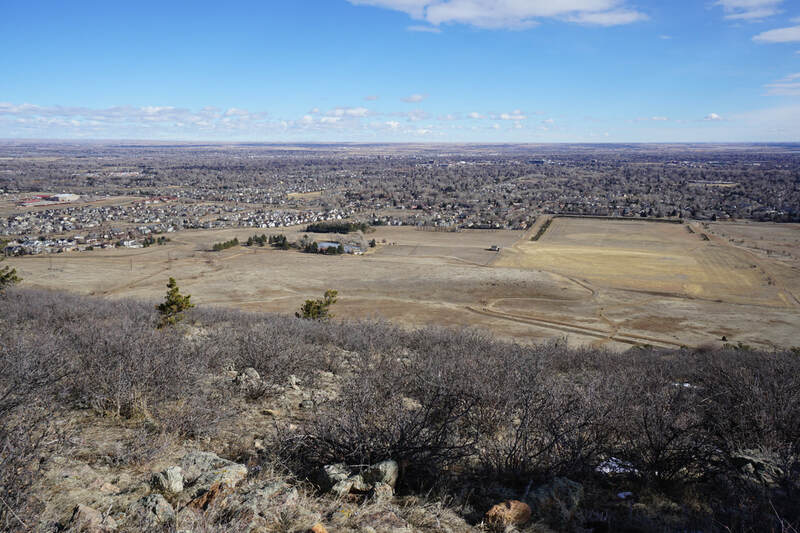 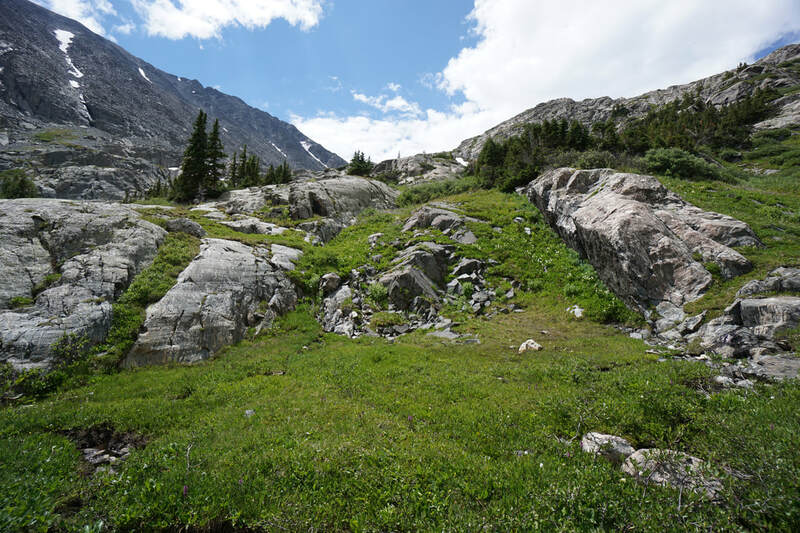 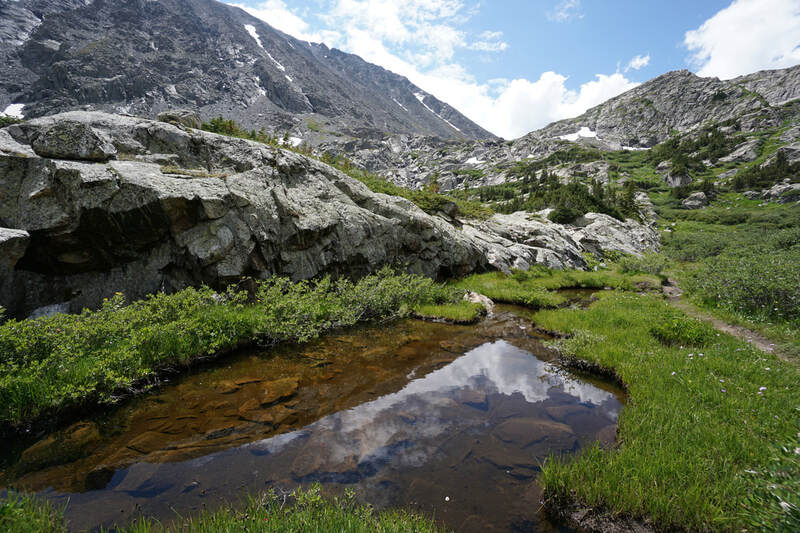 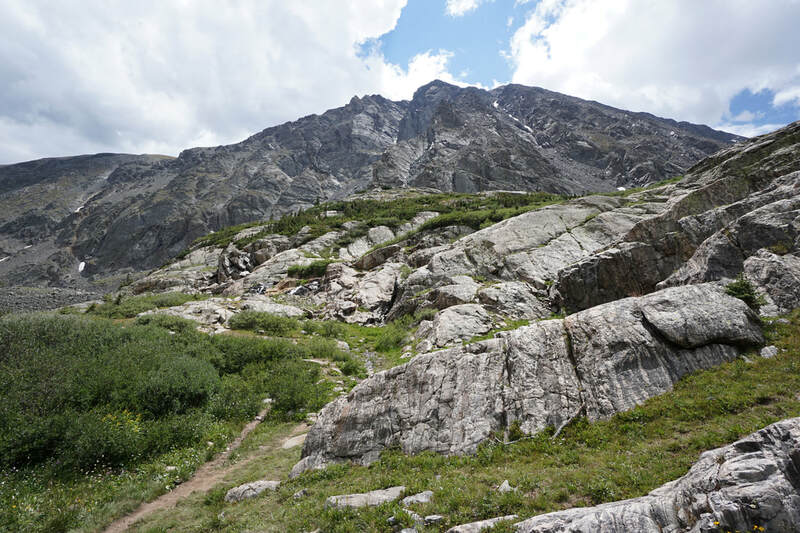 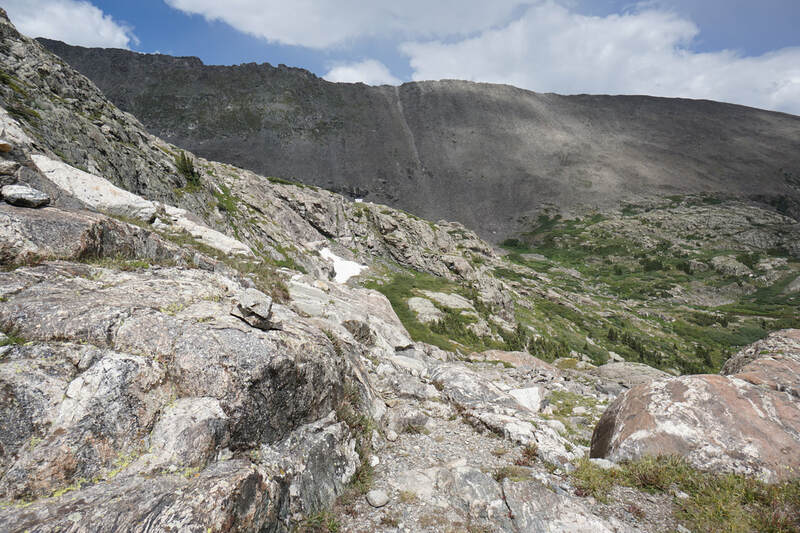 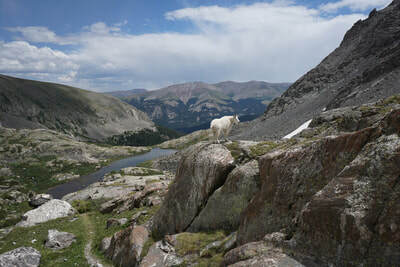 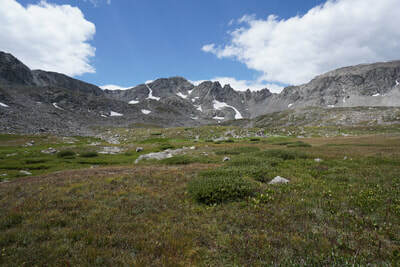 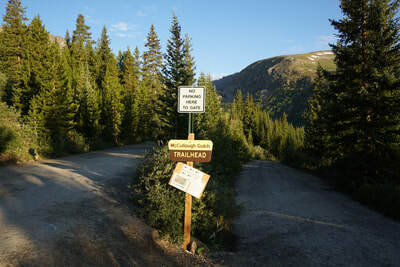 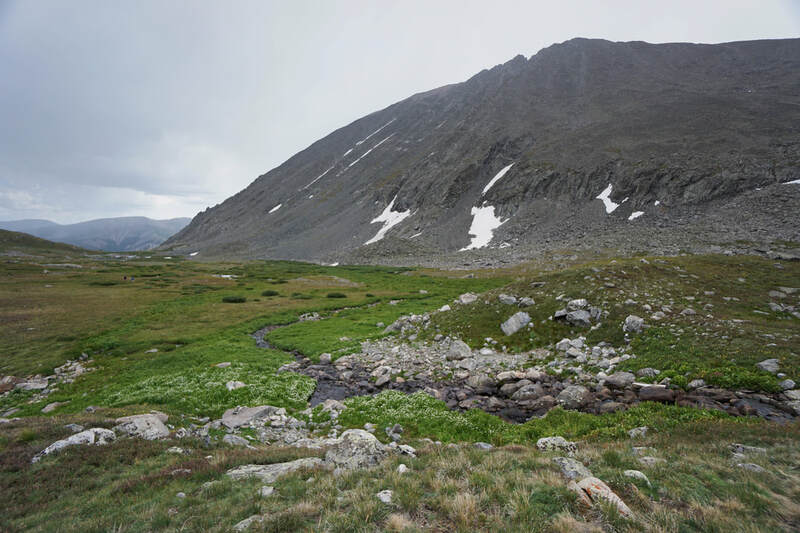 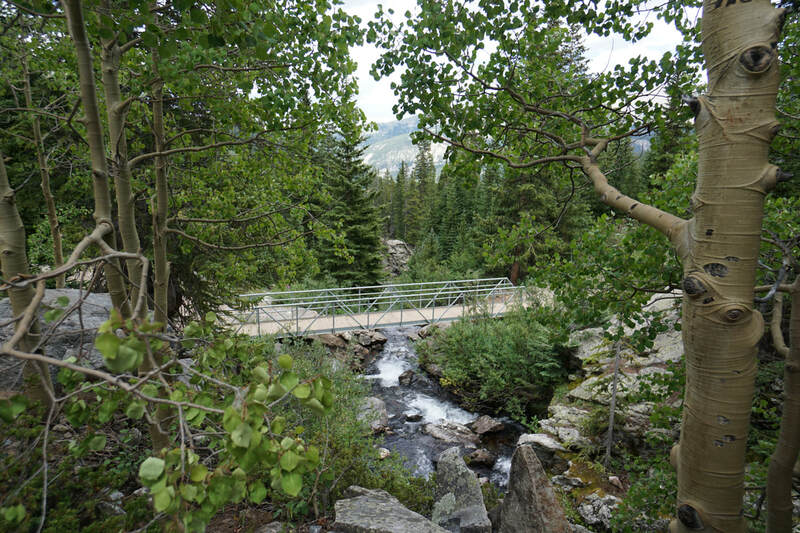 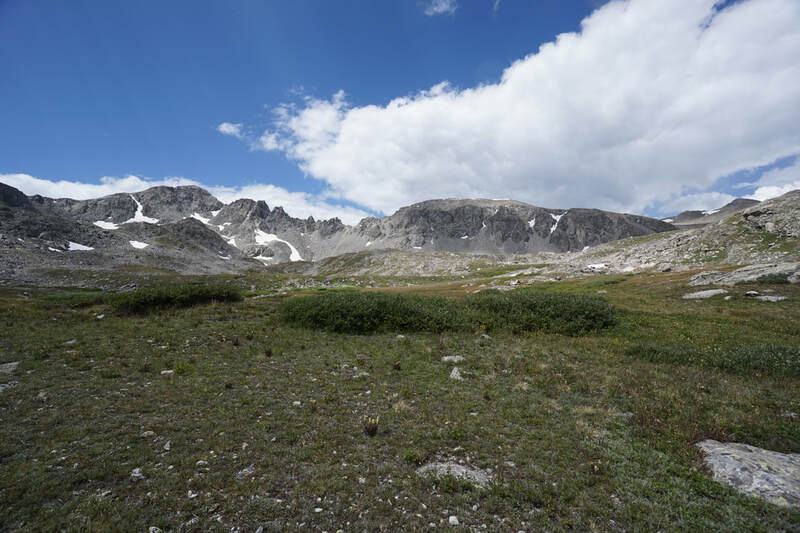 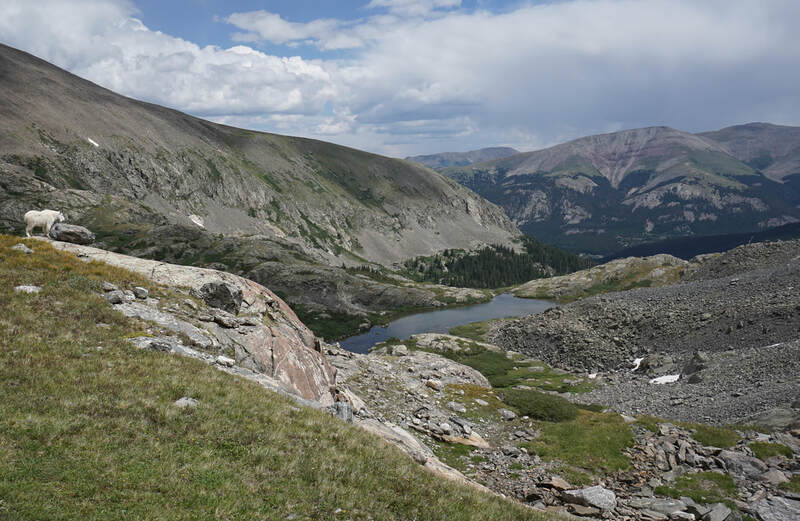 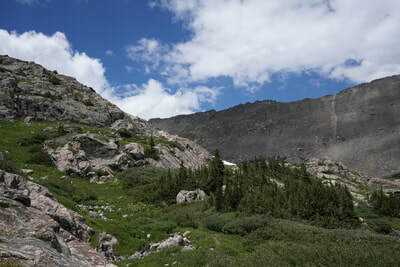 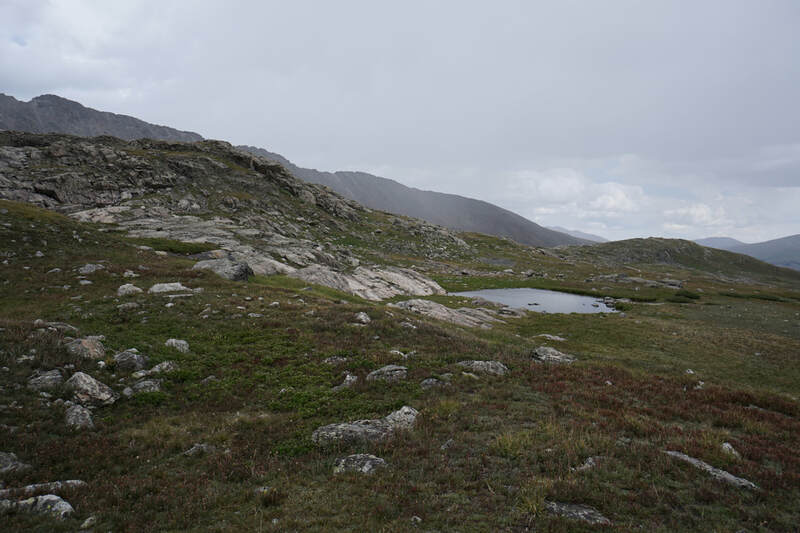 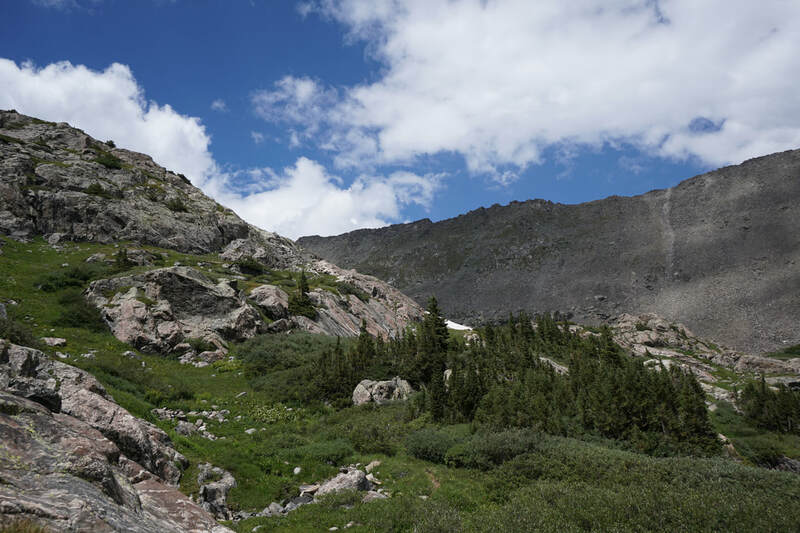 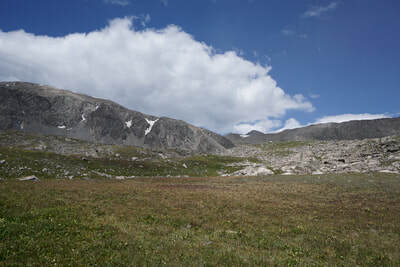 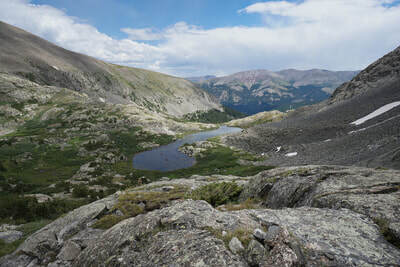 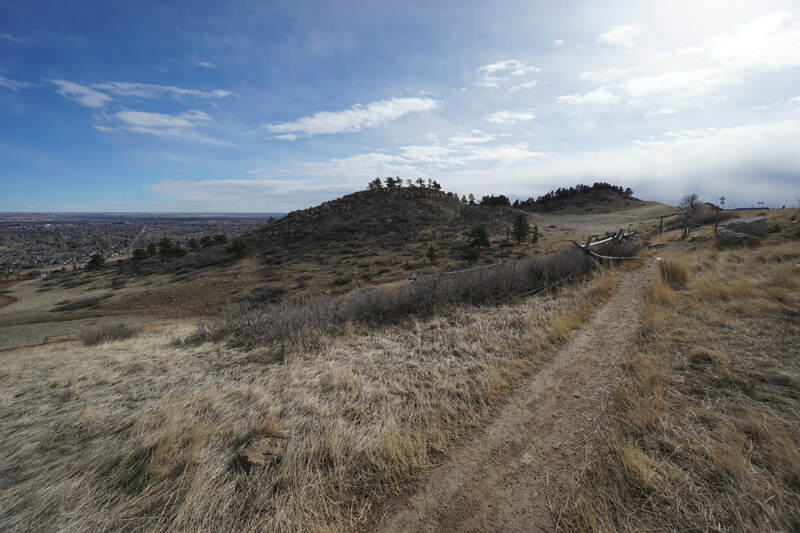 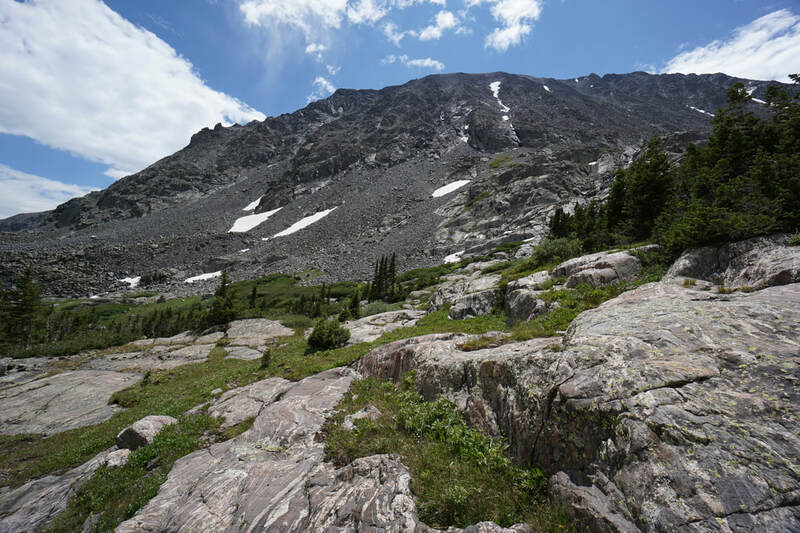 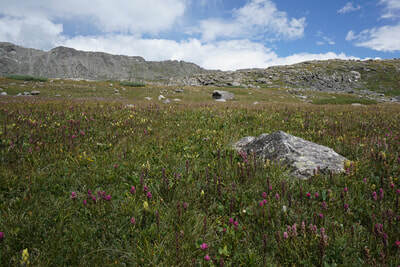 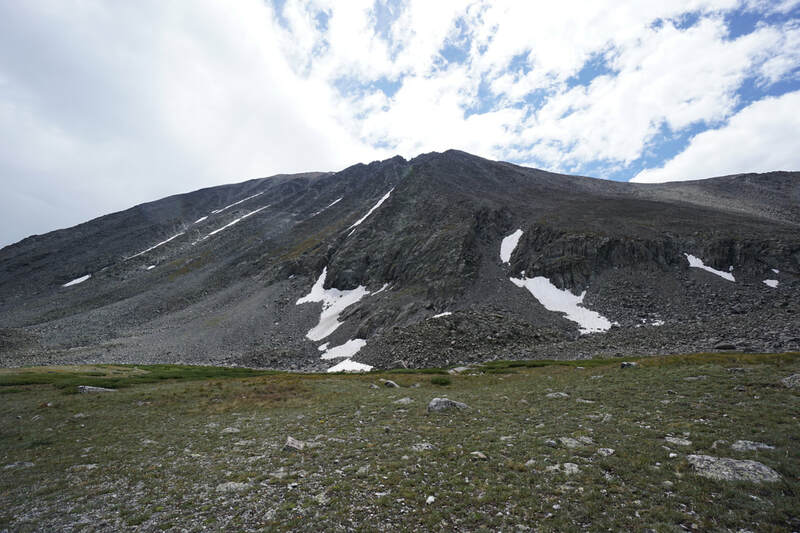 The McCullough Gulch Trail is a popular hiking destination for locals and Breckenridge tourists alike. The hike is moderate as some sections are steep and rocky, but the scenery is spectacular. 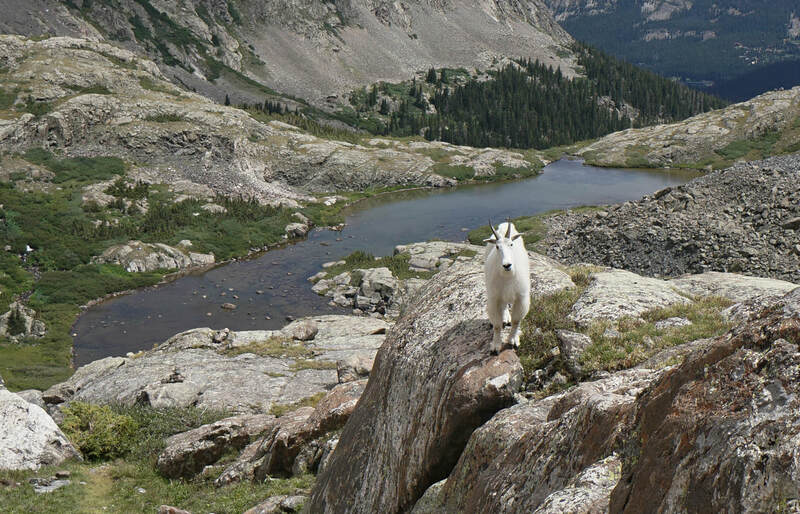 Lakes, waterfalls, wildflowers, mountain goats, and views of iconic 13,000 and 14,000 foot peaks are your reward and well worth the effort. 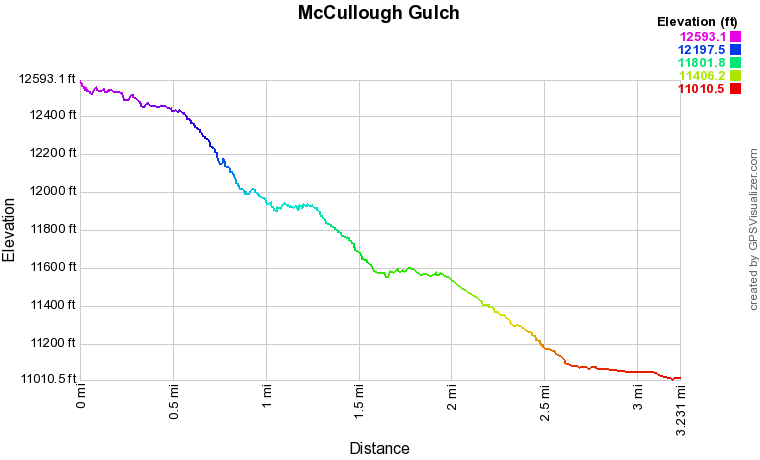 From the trailhead, follow McCullough Gulch Road for .6 miles to the old McCullough Gulch trailhead. 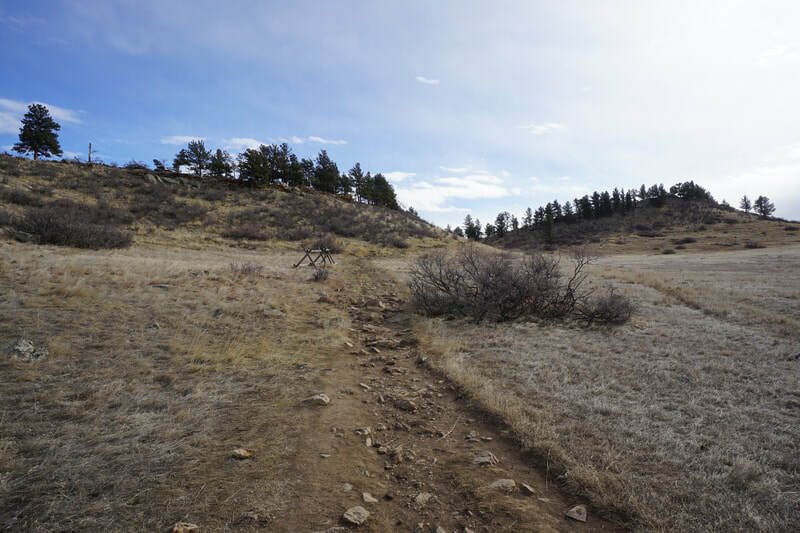 The first portion of the trail follows an old mining road across a footbridge and past an old mining shack (closed to the the public). This section of the trail has been relocated due to rock fall so some older maps might not show an accurate trail. 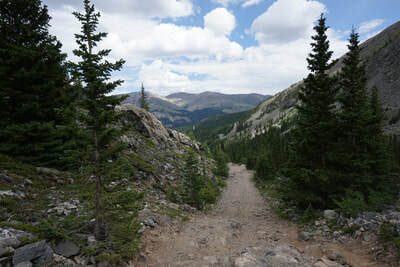 Over the next mile or so, the trail skirts up the northern wall of the valley through pine and aspen forest. There are various creek crossings and immense rock formations to keep you company. 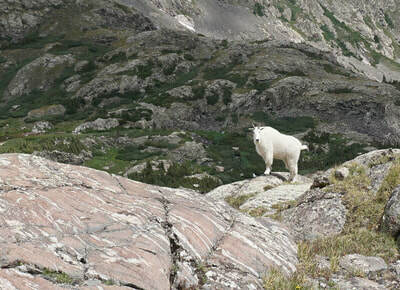 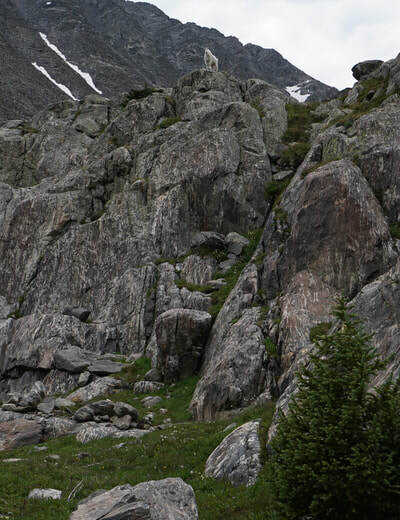 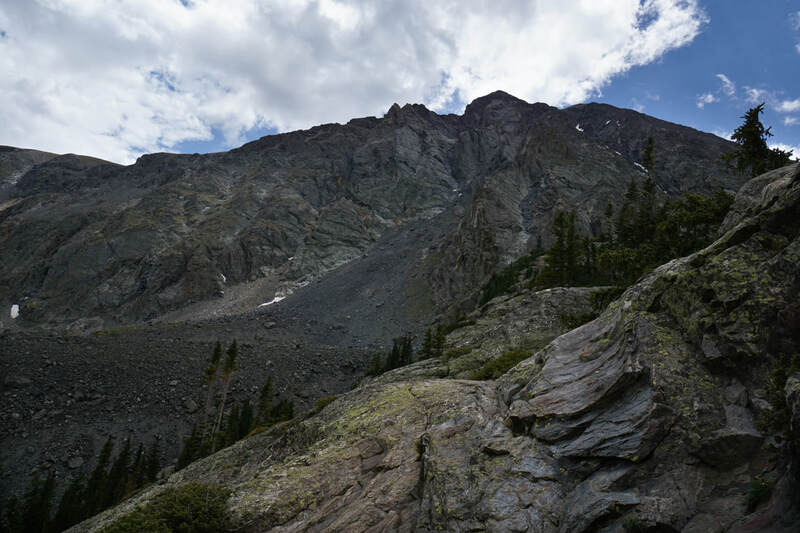 As you hike, Quandary Peak will tower above you. The rocky north face of the peak is mighty and impressive to view from below. One mile from the old trailhead you can take a short side trail to view White Falls, an impressive cascading waterfall which is beautifully set in front of Quandary Peak. As you continue climbing the ever rockier trail, the falls will be visible from time to time as you approach Upper Blue Reservoir. Upper Blue Reservoir sits ontop of a shelf .3 miles up-trail from the Waterfall viewpoint. As you reach the top of the shelf a trail will branch off to reach the shores of the lake. 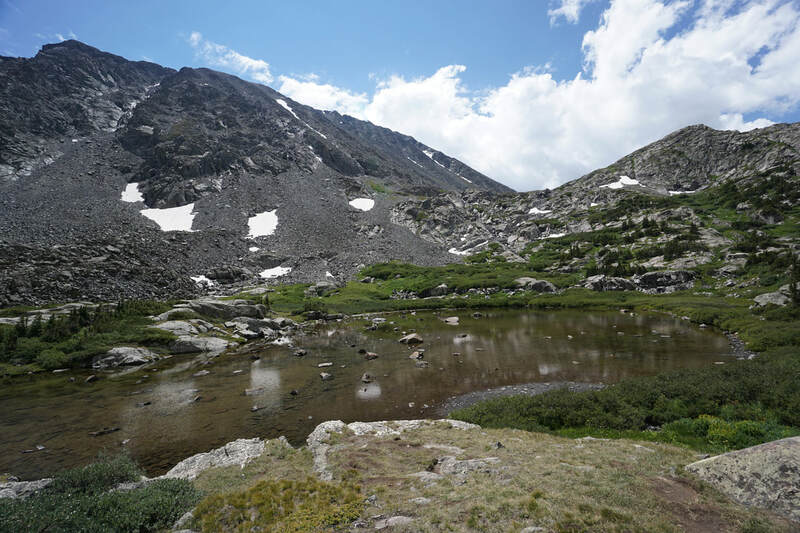 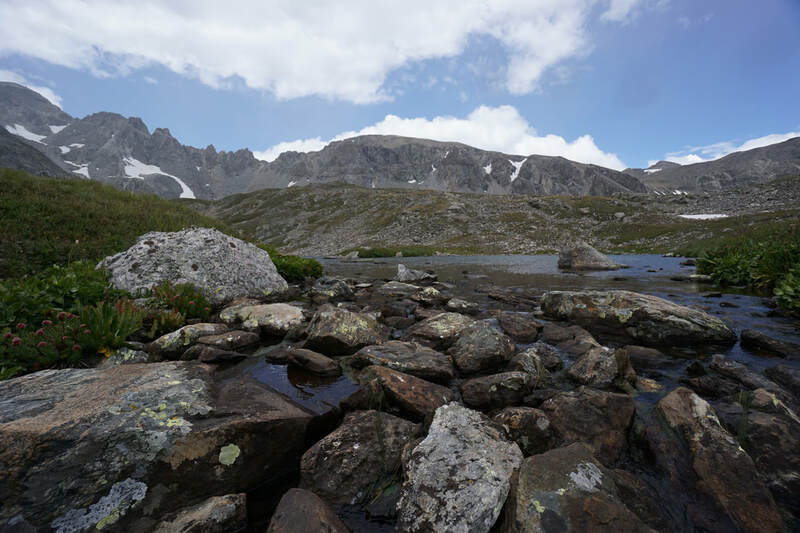 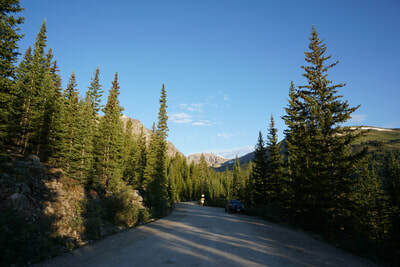 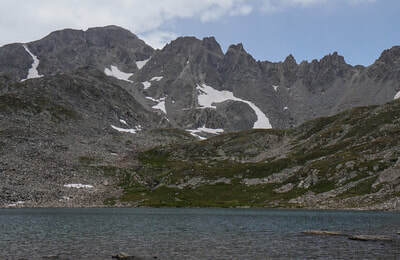 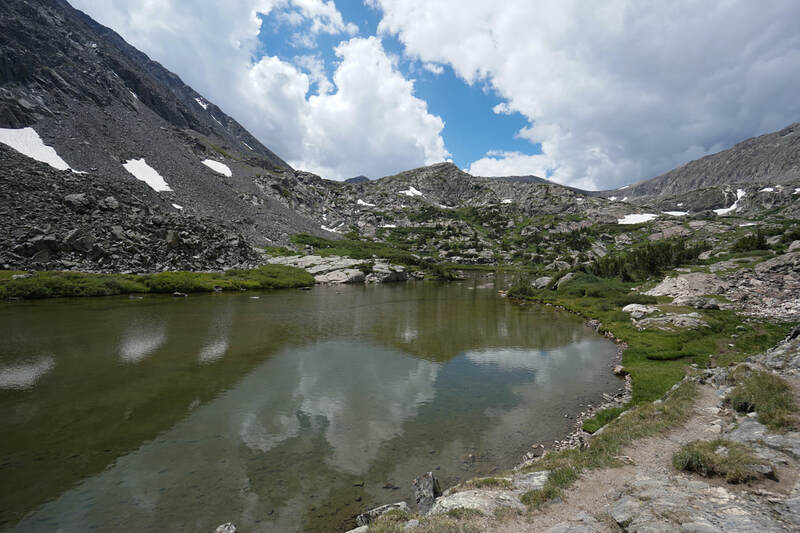 Continuing on the main trail will take you to a flat rocky area perfect for relaxing and viewing the lake and Quandary Peak. 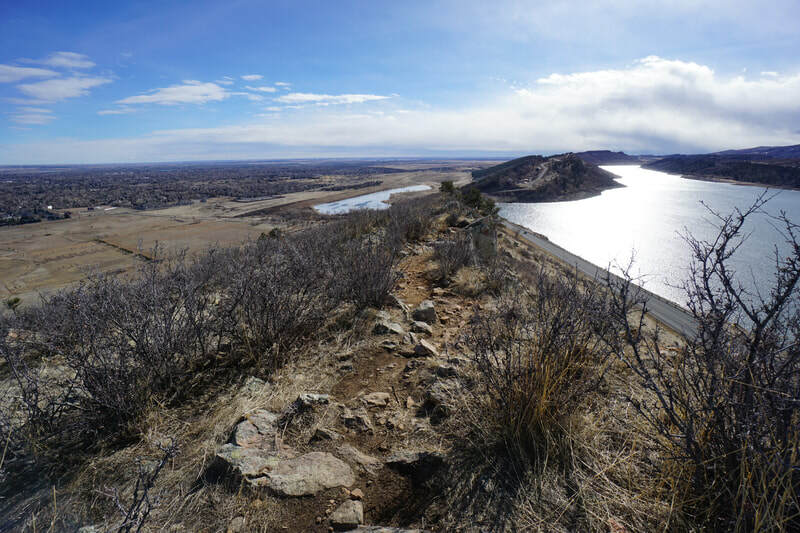 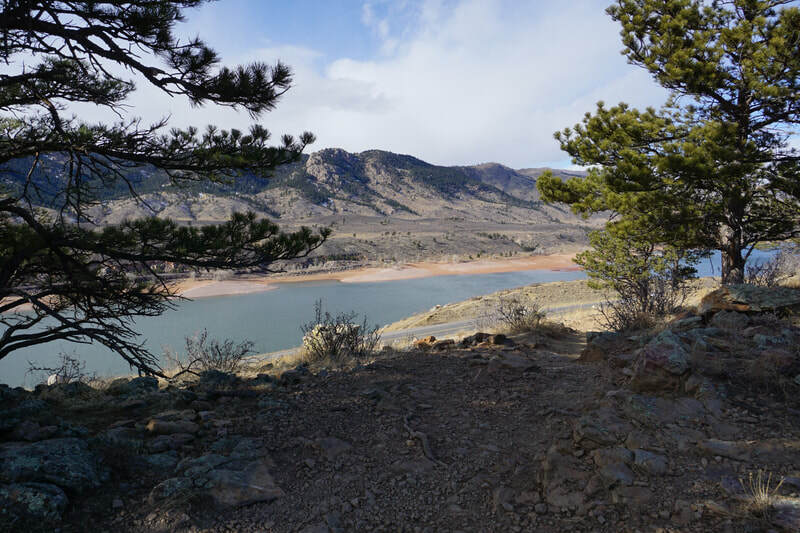 Good trail leads along the northern shores of Upper Blue Reservoir, across the creek and through a lush wildflower filled rock garden. The trail steeply climbs up to the next shelf and gets fainter as you go. 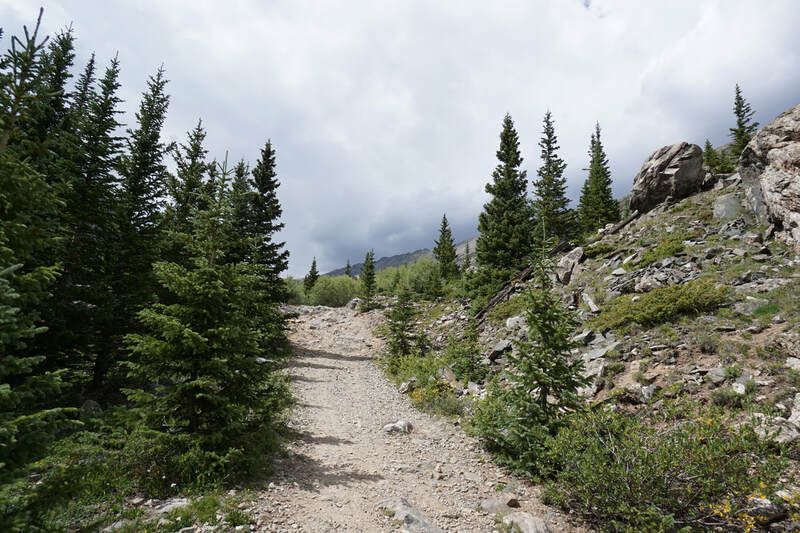 Keep a look out for cairns leading you along as the trail crosses slickrock and gets difficult to spot. 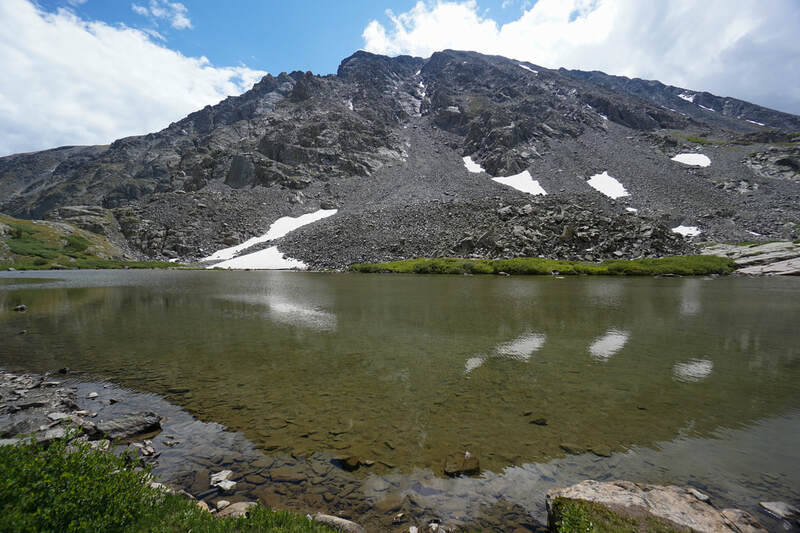 After about a .5 mile, you'll reach the next shelf and find a small unnamed shallow lake. 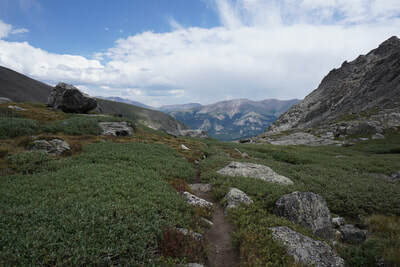 The views back down valley are tremendous and you should get your first views of Mt. 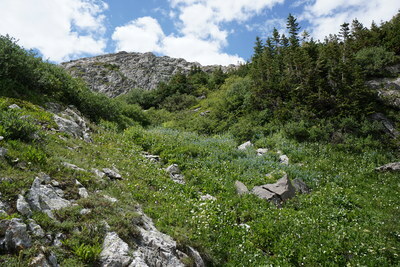 Fletcher and the jagged ridge leading to Atlantic Peak. 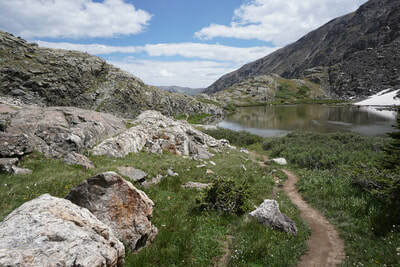 The trail gets fainter but far easier from this point to Upper Lake #1, an easy .5 miles away. 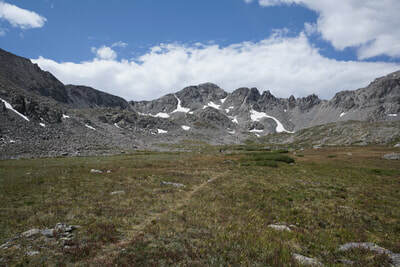 The views in the Upper Basin are wonderful with rocky peaks and the impressive East Ridge to the north. Click here for the adventurous class 3 climb across East Ridge. 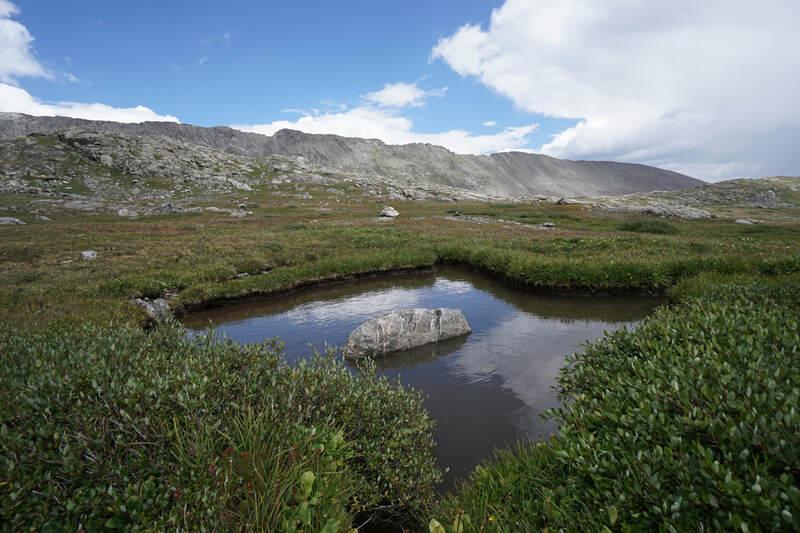 In wetter years, this basin is filled with wildflowers and lush green grasses. 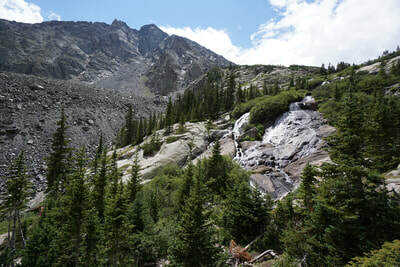 Climb a small hill to reach Upper Lake #1 with impressive views of Fletcher towering overhead. 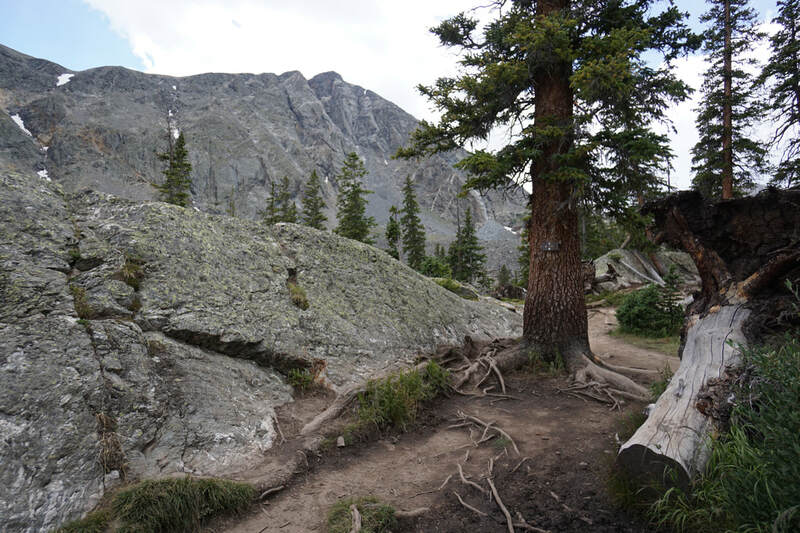 You can explore the upper basin as much as you like by boulder hopping in any direction. Directly to the west lies another lake named, of course, Upper Lake #2. To the north of Lake #2 is a series of unnamed lakes and north of these lakes, lies another unnamed lake. 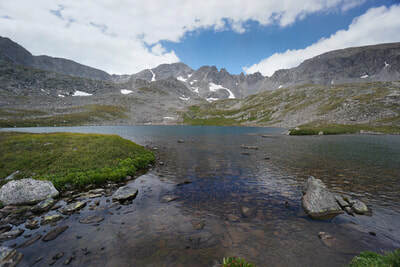 Climbing a steep scree slope will take you to Pacific Tarn, the highest lake in the United States. Click here for a description of the Pacific Tarn hike. 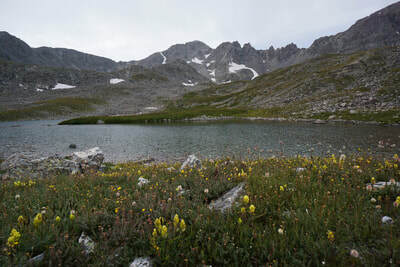 If Upper Lake #1 is your destination, then relax on the beautiful shores and take in the scenery before descending the same way you came. This hike may be busy on summer weekends, but it is definitely worth the crowds. 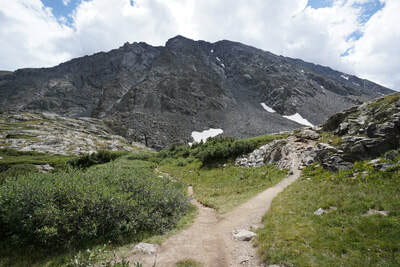 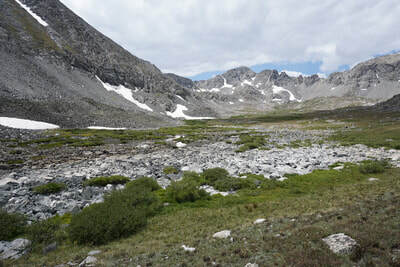 McCullough Gulch is an alpine playground and the crowds thin tremendously after Upper Blue Reservoir. 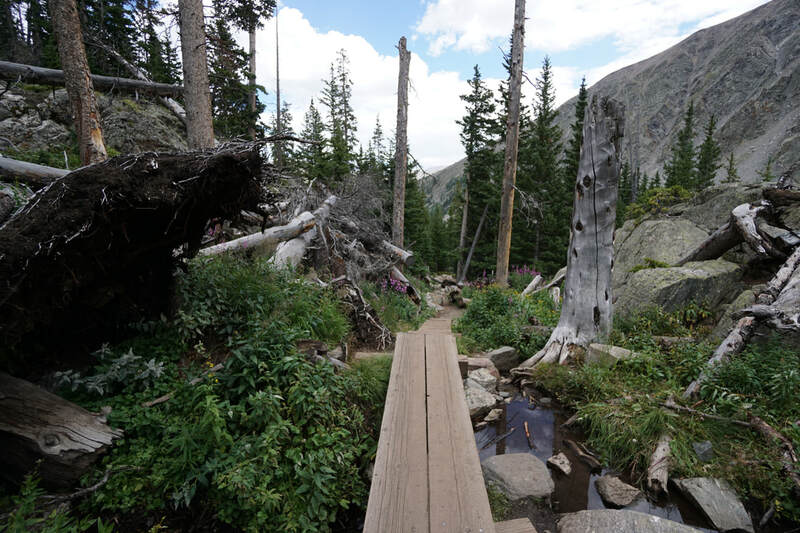 Hiking to the Upper Lakes will provide solitude and serenity, a far cry from the hustle and bustle of downtown Breckenridge.